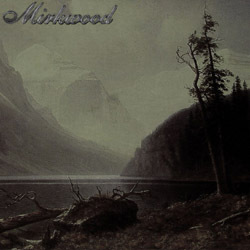 Epic atmospheric black metal band Mirkwood from California, USA will soon released its new demo EP “Mountains and Lakes“. Mirkwood was formed in 2005 by AK and NB, but now is the personal project of AK. The band released 2 demos and a split between 2006 and 2008. Their music is influenced by Windir and Summoning, as well as by many influences beyond the spheres of metal. “Mountains and Lakes” includes only 3 songs and is the first work of the band after 5 years of silence. It will be self-released in CD-R edition and digital format in December 2013, while there are thoughts for a limited vinyl and tape release on a smaller label. The opening track is an instrumental keyboard intro with an orchestral feel to it. The other two tracks will have lyrics and vocals, inspired by nature, fantasy and Tolkien, as their previous 3 demos. Cover artwork and tracklist are already available, as well as the intro “Victorious Return” on their Bandcamp page.